I wrote my first novel when I was in junior high and directly inspired by the Olympics. My father had a subscription to Sports Illustrated, but I didn’t look at the magazine too much because it was mostly guys on the cover. The only time I noticed a woman on the cover was for the swimsuit issue, which our mostly female family looked at with disdain or amusement, depending on how we felt. 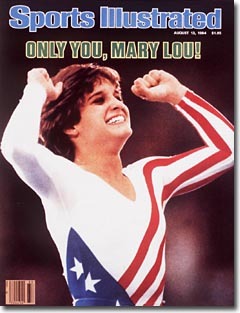 I don’t remember seeing a woman athlete on the cover until the 1984 Olympics when Mary Lou Retton swept the gymnastics competition for women. At the time, there was a lot of criticism about her body, with sportscasters calling her Thunder Thighs because of her muscular physique. But it was that physique that gave her performances such power, wowing the judges. Inspired, I wrote a novel about a young woman who discovers a talent for gymnastics and eventually propels herself to the Olympics. The story was written entirely in pencil, with my own illustrations, and probably didn’t crack ten thousand words, but it marked the first time I attempted to write a longer work because that particular book didn’t exist in my library. The next novels I wrote were during college when I was taking classes in the undergraduate Writers’ Workshop. I wanted to write something that was completely different from who I was, and so I came up with the crudest, rudest male that I could, a protagonist who wrestled alligators and crocodiles for a living. I finished this novel, which I called I Never Went to Vietnam, and loved it. I really thought it was something special. I sent it off to many agents, including one that my friend was interning for, and sat back, waiting for the acceptances that I was sure would flood in. There were some encouraging words that came in, agents that said, “Good writing, but not for me.” And then I heard from the agent my friend knew at Sanford J. Greenburger who said he’d like to read something about what I know, being a young woman in the Midwest. I thought about it for a minute—considered it—but that sounded like the most boring story ever. I started a couple of other novels after I Never Went to Vietnam, but they petered out. They were stories I couldn’t commit to. I didn’t really work seriously on my fiction until after I moved to New York. Instead, I focused on moving up the ladder in the publishing industry, starting as a copyeditor and then switching over to editing so I could do more shaping and writing. I also started writing reviews and articles for a few magazines. I had been kicking around the idea of writing a novel that addressed the topic of hoarding, but when I gave my female protagonist strange behaviors that didn’t exist in the real world, my story stalled out. Reading more horror, sci-fi, and fantasy, I came to the realization that the story didn’t have to make logical, realistic sense; it just had to make story sense. And that’s how The Collectors was born. For about six months, I’d hike up to the Mid-Manhattan Library after work and write on my novel among students and the homeless in the work area on the second floor. I finished the novel, revised it a few times, and read Miss Snark’s blog religiously, where she gave snappy advice about how to land an agent. She would dress down morons and the clueless by calling them nitwits, and every once in a while, she would solicit writers’ hooks in order to give them advice. She called these epic submission periods the Crapometer, and I eagerly entered one. 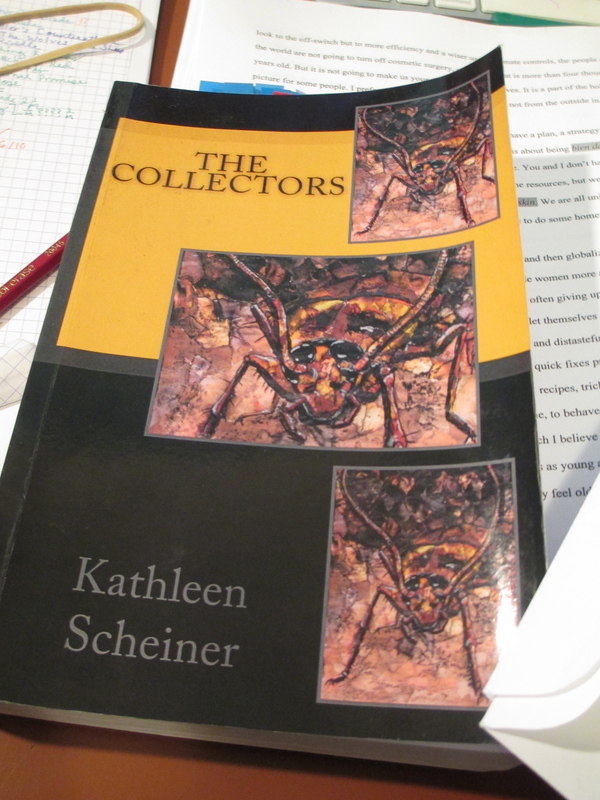 She got a slew of entries, and I checked her blog daily, waiting for her to get to The Collectors, my novel about body horror and hoarding. She was not kind. She gave a two-sentence reply to my entry—“Is this a joke? I’m going to wash my hands again, and again, and again.” I read that with a plummeting heart, but then I saw all the people who posted about my entry, saying they thought my hook was one of the more creative ones submitted. And people started posting their own experiences about hoarders—many would begin, “I used to know a person like this…” So Miss Snark wasn’t interested in The Collectors, but I believed there was a market for my novel. I submitted queries to agents and publishing houses that specialized in horror, and right away I started getting hits. First off, I sent my Collectors query to Dorchester Publishing, whose imprint Leisure Books specialized in horror, and they requested the full manuscript. I had been schooled that when a full manuscript was requested, it was a very big thing, meaning you were that much closer to selling a novel and getting a book deal. Ha! I approached a heavy-duty agent at Writers House who represents some very big names in horror, sci-fi, and fantasy, and her assistant requested a full. Did the same with Tor, and they requested a full. I really thought it was just a matter of time, and I would get an offer from someone somewhere. Maybe I’d even get a couple of offers. When I followed up with the agent’s assistant at the Writers House, she said there was no room on the agent’s roster, but she had a lot of love for The Collectors. I wrote back to Dorchester, and while I waited, I wrote another supernatural novel and sent them pages for it. 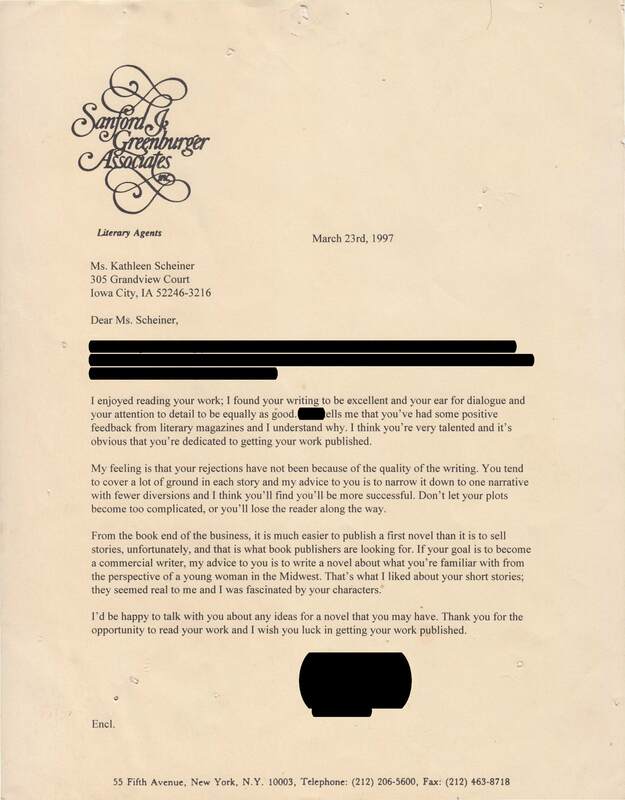 The executive editor sent back a complimentary letter, talking about how small his list was and how he could only publish so many titles a year. He said he was still considering The Collectors, but that my book about a haunting, The Charm Quilt, would probably have better luck at another publisher. And then Dorchester Publishing went under and that was no longer an option. I wrote Tor to check in on the status of The Collectors and never heard back. I know exactly what I want to write and read—a brand of lady horror, where women can be beasts or deal with horrific situations without having fits of vapors. And I’ve come to the point where I’m sick of waiting for that agent and deal, which will still make me poor. I’ve got more than fifteen years in publishing, working for some very big houses. I’ve learned good lessons, and after reading some complete crap books, horror novels where women’s only function is to take off their clothes, I’m ready to go indie with The Collectors. My sister Kristi designed the cover art for The Collectors and she’s also come up with a logo for Horrorfeminista. Our sister team is starting with The Collectors and will be following that up with Zombie Apocalypse in Ditmas Park and The Charm Quilt, which I hope will lead to The Foot Book, Heavy Metal Nightmare, and more undiscovered lady horror that I know is out there.